Plan a great entertainment experience at your local Movie Tavern, which is now serving Pepsi fountain beverages. Enjoy a Movie while ordering a wide selection of food and beverages directly from your reserved seat. 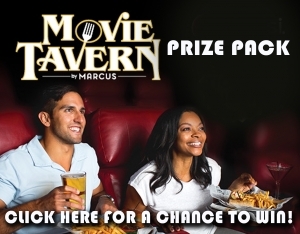 Visit MovieTavern.com for tickets and for information on fantastic promotions like $5 Movie Admission Tuesdays at Movie Tavern.